Ovarian Cancer Research Alliance preserves the public trust by taking all reasonable steps to ensure rigorous accountability in its efforts, transparency in its financial operations, and stewardship of its donors’ funds. When you donate to OCRA, you can be sure your money is handled carefully and responsibly. 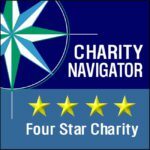 Don’t just take our word for it: Charity Navigator gives OCRA its top rating and we have a five-star rating from Guidestar. Please explore this page to view our financial statements and policies. Ovarian Cancer Research Alliance is a 501(c) 3 non profit organization. Our financial documents are public and available for viewing below. A 501(c)(3) organization, Ovarian Cancer Research Alliance receives funding from individual donors, foundations, corporations, state and federal government, and cause-marketing initiatives. Individual solicitations, direct mail, fundraising events, grant proposals, sponsorships, product sales, and special projects secure these funds. Our mission is to remain objective in providing information to the ovarian cancer community; we do not endorse any particular treatment, therapy, clinical trial or product. Accepting contributions from sources such as individuals, foundations, and for-profit institutions while ensuring that the positions of Ovarian Cancer Research Alliance on policy issues are never unduly or improperly influenced by contributors.